After a year of blogging I believe that my blogging life is finally starting to resemble something along the lines of ‘organization’. In the first few months of my blog I posted whenever I felt like it. I went days, weeks, and at one point even a whole month without a single post. But of course I realized that any sort of success would only come with my hard work, and in the new year I pledged to put everything I could into my blog. It required some planning and organization….and I’m still getting there. But how do I keep myself organized? And what tools do I use to blog with? 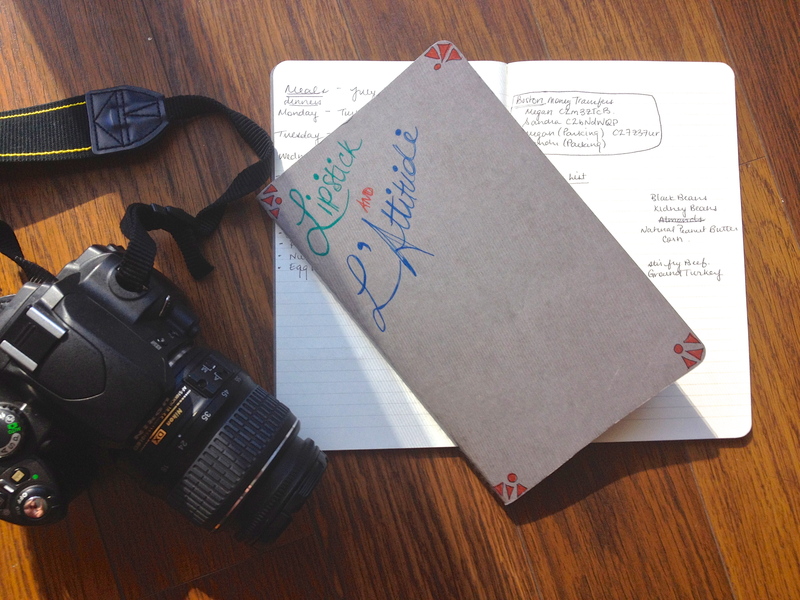 Moleskine’s are travellers, journalists, and bloggers best friends. These notebooks are wonderful – if you can believe that certain bound pieces of paper can be better than other bound pieces of paper. I’ve been using Moleskine notebooks since High School so when I decided I need more organization for my blog, I picked up a 3 pack of Moleskine Cahier Lined Notebooks. These are decent sized notebooks with heavy card stock covers. In this notebook, I keep track of my posts, what date I post and, just in case I’ve written them in advance, I check whether I’ve completed writing it and whether I’ve taken pictures. I also keep track of any ideas I have for future posts. This method is keeping me incredibly organized! I’ve managed to start blogging at least three times a week now and I’m hoping to get that down to every second day. My pictures are always something I struggle with. I love using my Nikon D40, but I unfortunately feel that I do not use it to it’s full capacity. Nor am I very skilled with editing photos. But I think I’m getting slightly better. I use my tripod whenever possible to be sure my photos are straight, and I try to take my photos at the sunniest part of the day, for the most natural lighting. Taking more time with my pictures has made me feel a little more confident about my blog. I know that I’m more likely to click on someone else’s post if the picture draws me in. Pictures say a thousand words. So heres to some successful organization and planning, and to the future of blogging. I’ve definitely been experiencing more success since I began organizing, and hopefully I can get my pictures to the same level! Thanks for staying tuned readers, and don’t be shy to let me know what you think or ask questions!